When was the Muslim League formed ? Explain its three main objectives. Explain any four objectives of a search and rescue team. Q. 24. 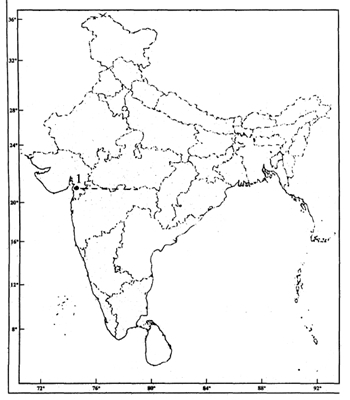 (a) (i) On the given political outline map of India, the place is shown by No. 1, where Congress was split in 1907. Identify the place and name it on the line drawn. Name the State where Jallianwala incident occurred. Name the place where Congress was split in 1907. Which is the leading coffee producing state ? Which is the eastern terminal station of ‘East-West Corridor’ ? Name the international air-port located in Gujarat State. Name the Software Technology Park located in Uttar Pradesh.